Opportunities for nearly 30 years. One of the Best and Oldest Coloring Book Publishing Companies in America! The Leader in Coloring and Activity Book Design - Distribution. Kid's Coloring Books for Businesses, Governments, Teams, Schools, Groups & Individuals. Looking for a fully custom coloring book? Click below. check out our Facebook, Google+, Instagram or Twitter social media sites. US Constitution Book for Kids! Approved by teachers and educators! The U.S. Constitution Book Just For Kids is designed for Constitution Day September 17th or anytime to help young children understand the fundamental laws of the U.S. Constitution. Get yours today! This 60 page book is used as a teaching and learning tool. 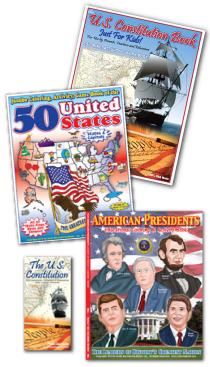 50 United States - The Greatest Nation in History Coloring, Activity & Game Book is designed to be a fun educational activity book to help young children understand facts about the United States. American Presidents Coloring & Activity Book is designed to be a fun, educational activity book to help young children and adults learn all about the Presidents of the United States. This 52 page book is used as a teaching and learning tool. Click here for many more Educational and Specialty titles! 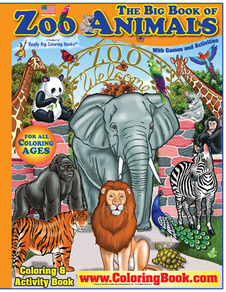 Giant Tablet Coloring Books have sold very well in fundraising and retail markets! Giant Tablet Coloring Books® are all 14" wide by 20" high and will keep a child entertained for many hours. 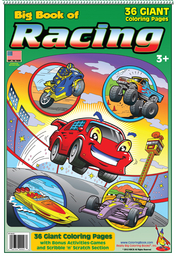 We manufacture kids coloring books at the best competitive rates. We participate in Green Technology that is friendly to the environment with soy inks, recycled paper and the sustainable forestry initiative! See more Giant Tablets here! See more Big Books here! please visit our sister website www.ColoringBook.com. We offer the larger books (17" x 23") on that site, with many other different books you can purchase all on one site. © 2018 BigColoringBooks.com | Saint Louis, Missouri U.S.A. This webpage is owned by Really Big Coloring Books®, Inc.